Weird Wonderful Web: Mini Me (Verne Troyer) is 27 donuts tall! Mini Me (Verne Troyer) is 27 donuts tall! 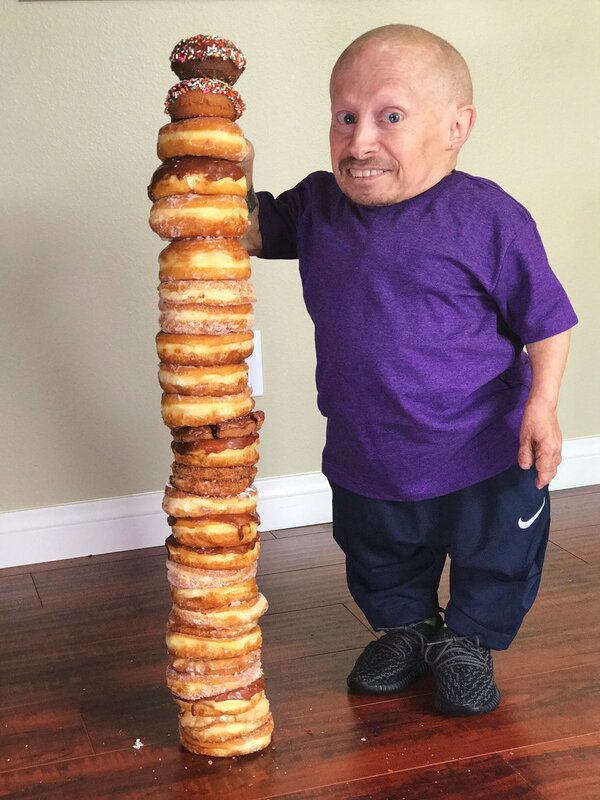 Verne Troyer proving he is "27 donuts tall"
Tiny actor Verne Troyer, best known for his role as Mini Me in Austin Powers movies posted this image to Imgur recently with the description "I'm 27 donuts tall".